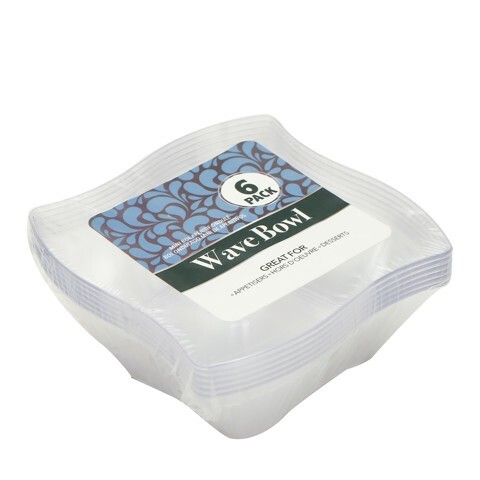 Snack Bowl Wave Sq Clear 6Pk. 8cm (Corner to Corner) x 3.5cm. Clear. PS. 60g Packaging: Shrink Wrap with Colour Label.